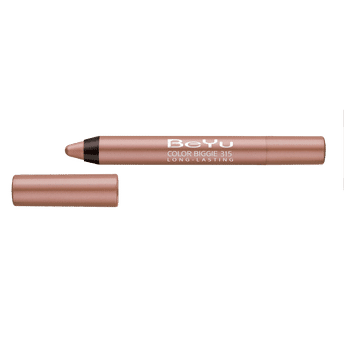 BeYu Color Biggie Long-Lasting is a 3 in 1 multitalented makeup essential for the eyes. Use it as a kajal to define your eyes, apply it on your eyelids as an eyeshadow or use it as a highlighter. Its creamy and waterproof texture stays put all day without giving you a reason to complain. Available in elegant, semi-matt shades and softly shimmering, ultra brilliant hues. Alternatively, you can also find many more products from the BeYu Color Biggie Long-Lasting range.